End of the line for Spain's Estrella night train brand. The final service ran between Barcelona and Madrid in April 2015 (photo by Jordi Verdugo). Another European night train has slipped from the schedules this week with the withdrawal of the Madrid to Barcelona overnight service. This was the sole remaining overnight service in the train category known as Estrella (the Spanish word for ‘star’). Other domestic overnight trains in Spain have been progressively upgraded to Trenhotel status, but the Barca to Madrid service continued to use legacy rolling stock right up till the last night of operation. The final trains left both Barcelona and Madrid last evening, arriving at their respective destinations this morning. With one-way tickets for as little as €20, the Estrella train from Madrid to Barcelona was a useful budget option for cost-conscious travellers who did not mind an less-than-comfy night on a train. The service had long since been abandoned by business travellers who opted instead to speed between Barcelona and Madrid in high-speed comfort on one of RENFE’s sleek AVE trains. 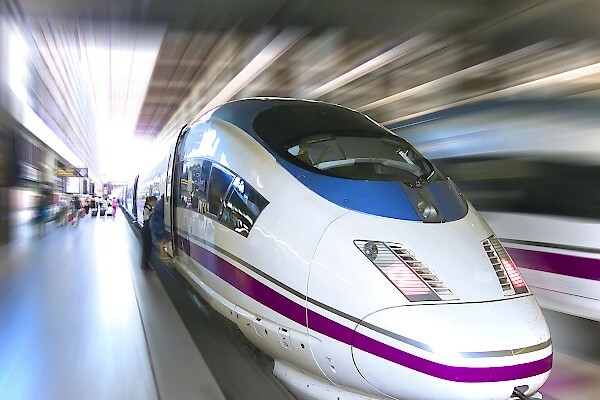 The fastest AVE services take just 2 hrs 30 mins for the 621-km dash from Barca to the Spanish capital. The night train took nine hours. Fifty years ago there were just six direct trains each day on the main line from Barcelona to Madrid (via Zaragoza). In those days, just two of these six trains ran by day. The luxury daytime Talgo took 8 hrs 15 mins for the journey. The only other daytime service dawdled and needed over 13 hours. 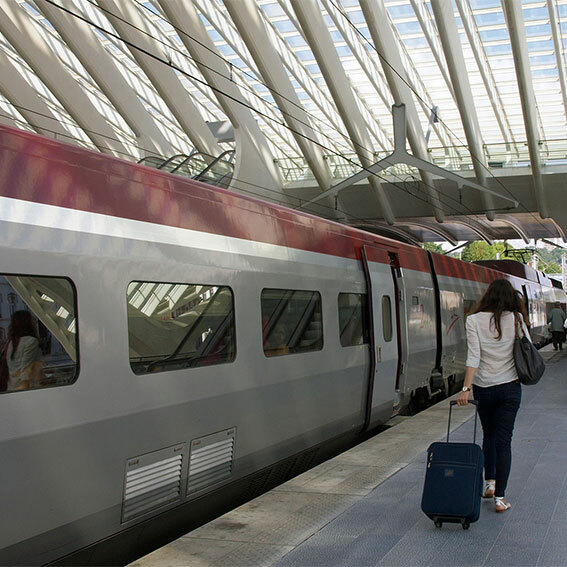 It is no surprise that most passengers opted for one of the four overnight trains on the route. With faster daytime services, demand for the night trains dwindled. By 2005 there were just two overnight services linking Barcelona and Madrid — one was a premium hotel-train with a restaurant car, the other was the Estrella service with no on-board catering. 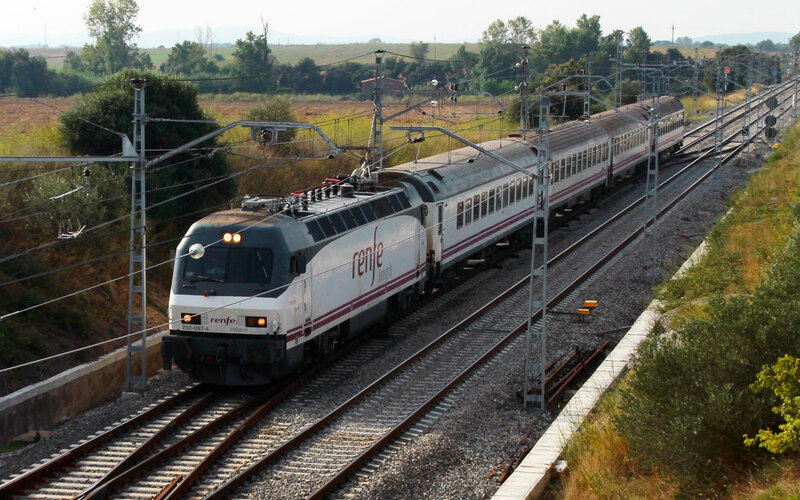 With the opening of the new high-speed line from Barcelona to Madrid in 2008, the premium overnight service was axed, leaving only the Estrella option for night owls. It is surprising that the latter survived as long as it did. Compared with fifty years ago, passengers today are spoilt for choice when travelling between Spain’s two largest cities. On weekdays, over two dozen trains leave Barcelona Sants station for Madrid. The Trenhotel brand survives — and, indeed, does rather well on those routes where it is still on offer. Those are, in the main, journeys where there is no parallel high-speed route. These include Vigo to Barcelona, Madrid to Ferrol, Barcelona to Granada and Pontevedra to Madrid. Hello! Thanks so much for this great website. I was having a hard time finding information on exactly this topic and I'm so happy that I found this article. We are traveling from Madrid to Barcelona June 26 and were hoping to do it by train. I was really surprised to see that the price for the AVE is $129 (Euros). I was reading older articles about the night train, but reading this now--I see that is not an option. When I search the Renfe website I'm not getting results either. Is our only option the expensive AVE train or is there somewhere else I should look? Any other recommendations? We're trying to do this on a budget since we'll be moving on from Barcelona to several other countries. Any suggestions would be hugely appreciated. Robyn - much cheaper tickets will be available, google "seat 61 travel in spain" for lots of useful info. Cast back half a century and there would have been nothing unusual about a direct train from Edinburgh to the port of Oban on Scotland's west coast. Indeed, our 1961 Bradshaw shows three direct trains each weekday from the Scottish capital to Oban — all running along the now sadly defunct Callander route, and serving along the way stations like Kingshouse Platform (on request), Killin Junction and Luib. All names that have long disappeared from the timetables. Here is a thought to ponder as you make those final preparations for Christmas. In Berlin extra trains will run tonight on the city’s rail networks. Switch to London, and the rail network is today beginning to shut down. No trains will run anywhere in Britain on Christmas Day — and all but a handful of routes (in and around London and Glasgow) will be train-less on 26 December. Here in Berlin there is a real sense of spring in the air, and we are well aware that travellers’ thoughts are turning to summer journeys. 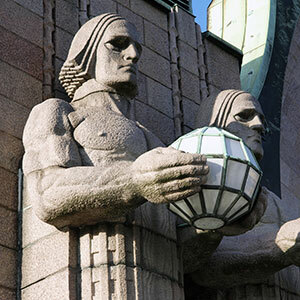 It’ll be no surprise that we tend to favour the train for most of our trips across Europe. So, for those of our readers who have not spent the long winter nights tracking changes in train timetables, here’s a run-down on headline changes over recent months.